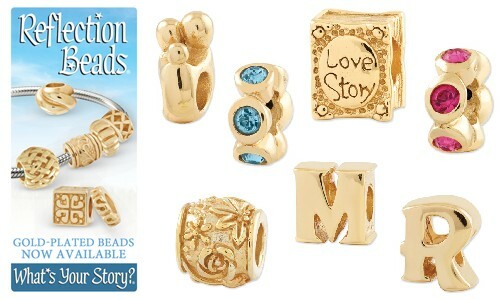 European Beads are Now Available in Sterling Silver with Gold-Plating from Reflections Bead Charms. These are a great way to add a gold look to your European Bracelet. From Birthstone Crystal Beads to Travel Dangle Beads and Initial Beads, a beautiful warm gold look. Reflections Beads are compatible with all popular brands of bead bracelets. Create a bracelet that is uniquely You! !